Let me just start by saying this album is LONG…not that I see this aspect in a negative light, quite the contrary. It is an incredibly rich and, at times, perplexing aesthetic voyage framed around a single concept. Each of the 19 tracks represents a specific watershed moment in American civil rights history, spanning in time from the Dred Scott v. Sandford case of 1857 to the present-day, post 9/11 national landscape. It is quite difficult to digest this massive achievement in the same way as a typical jazz album. As a matter of fact, most of the music contained on the 4 discs would not be considered “jazz” in a conventional sense. There are plenty of moments of free-jazz flourishes, but overall, the structures are of a classical nature, containing stylistic references to modern composers such as Pierre Boulez or Elliott Carter. With this approach comes an expanded group of musicians veering into the classical discipline. For a little background, Wadada Leo Smith is a veteran avant jazz trumpeter, born in Leland, Mississippi in 1941. He got his professional traction in Chicago in the late 1960s as a member of both the AACM and the Creative Construction Company, a trio including Leroy Jenkins and Anthony Braxton. His trumpet style developed as a kind of evolution and extension of the “cool” playing Miles Davis pioneered, and while there are many nods to Miles’ influence, Wadada created a melodic and phrasing language very much his own. After his time in Chicago he went on to study ethnomusicology at Wesleyan in the ’70s, spent ample amounts of time in New York, and ultimately settled in California in the ’90s to teach music at Cal Arts. Since then, he has had a resurgence of creative output, and increased critical and commercial recognition. In particular, the last decade has been enormously productive, with forays into larger ensembles and electric music. With this release, as I stated before, he ventures into classical territory. It’s sometimes odd hearing such dramatic gestures of composition on tracks like “John F. Kennedy’s New Frontier and the Space Age, 1960,” and at times it begs the question of whether or not a jazzman like Wadada has any business dealing with such musical architecture. But, in the end, it all works very gracefully…and often forcefully. It is a protean, irreverent piece of music overall, with a confidently relaxed pace and striking, unusual arrangements. From a music historian’s perspective, the album has a distinctly mid-twentieth century feel. This makes sense, because that was the era in which the civil rights movement blossomed most vigorously in the face of societal resistance. Being born when he was, Wadada would have come of age during that difficult but liberating time of social upheaval and struggle for African Americans. It is the feeling of this period that most clearly haunts the album, with the textures of European and African-American music mixing together in a symbolic dance of styles. As a longtime fan of this mercurial and generous master musician, it is refreshing for me to see that he’s not slowing down in the 7th decade of his life. As a matter of fact, he appears to be expanding out further than he has before. His last several releases before this one, such as Spiritual Dimensions (Cuneiform, 2009), Heart’s Reflections (Cuneiform, 2011), and Dark Lady of the Sonnets (TUM, 2011), have shown an upward trajectory of creativity, and this monumental 4-disc album could be seen as a kind of peak. 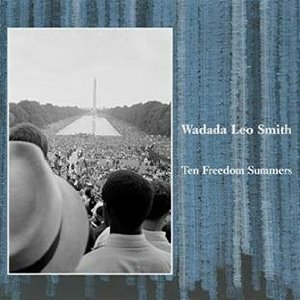 Wadada himself has stated, “Ten Freedom Summers is one of my life’s defining works.” I can see why. If you’re a fan of challenging music, just rest assured that this one is both epic and deeply rewarding. Tracks: CD1: Dred Scott, 1857; Malik Al Shabazz and the People of the Shahada; Emmett Till: Defiant, Fearless; Thurgood Marshall and Brown Vs. Board of Education: A Dream of Equal Education, 1954; John F. Kennedy’s New Frontier And The Space Age, 1960. CD2: Rosa Parks and the Montgomery Bus Boycott, 381 Days; Black Church; Freedom Summer: Voter Registration, Acts Of Compassion and Empowerment, 1964; Lyndon B. Johnson’s Great Society and the Civil Rights Act of 1964. CD3: The Freedom Riders Ride; Medgar Evers: A Love-Voice of a Thousand Years’ Journey for Liberty and Justice; The D.C. Wall: A War Memorial for All Times; Buzzsaw: The Myth of a Free Press; The Little Rock Nine: A Force for Desegregation in Education, 1957. CD4: America, Pts. 1, 2 & 3; September 11th, 2001: A Memorial; Fannie Lou Hamer and the Mississippi Freedom Democratic Party, 1964; Democracy; Martin Luther King, Jr.: Memphis, The Prophecy. Personnel: Wadada Leo Smith: composer, trumpet; Anthony Davis: piano; John Lindberg: bass; Pheeroan akLaff: drums; Susie Ibarra: drums; Alison Bjorkedal: harp; Jim Foschia: clarinet; Lorenz Gamma: violin; Peter Jacobson: cello; Larry Kaplan: flute; Jan Karlin: viola; Tom Peters: bass; Lynn Vartan: percussion; Shalini Vijayan: violin.